Reservations for Private Class are based on a first book first serve basis. Body & Soul Yoga will suggest another time or instructor in the following situations: the reservation concerning the instructor's time is not available, the instructor is overloaded for that day, the classrooms are fully booked. Why does each of us needs to attend at least couple of Private classes? Compared to the group classes, a Private class is more targeted and inspirational your mind. 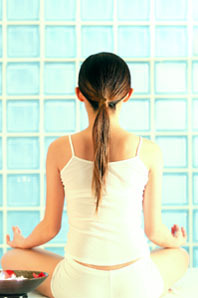 You’ll develop the knowledge of yoga as well as of your body and soul after taking part of several private classes. These experiences affect your yoga practice so much so that you’ll feel totally different even you’re doing the same postures as in group classes. Thousand years before commercialization, yoga is circulated following a very strict rule: each yoga teacher may have one disciple at the same time. Why? It is because people are different from each other at many ways such as height, energy and medical history. Since yoga is a practice both for physical and psychological, teacher is supposed to concentrate on the gymnosophist entirely and take good control of the process. In spite of teaching, the teacher self has to spent a lot of time on perfection. Therefore, there is not enough energy for teacher to take care of more students. Kunjal Kriya Yoga/Jal Dhauti yoga is one of the eight types of Kriya yoga, which is very easy, simple. It utilizes your nature of physical body and apply to your body’s inner principle. You’ll be capable of doing it by yourself after one class. The cause of obesity are various, much are due to the failure of the body function. The only way to revitalize the body is to interact with it. In spite of the Asanas which can shape your body, yoga is full of mysteries that some of its functions still can’t be explained by the modern science. Yoga is a therapeutics which is safe, effective, nature and free of side effect! Morning class. Half an hour. Only 1 to 2 reservations are acceptable for one day. In Chinese or English. Once Kunjal Kriya Yoga/Jal Dhauti yoga launched it got popular. Concerning this is really THE season to cut some weight we are launching series yoga classes for you. Any other classes fits your situation.